Riverside County is asking for volunteers to survey its homeless population. 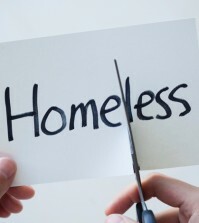 The 2019 Point-in-Time Homeless Count and Survey is scheduled to be held from 5:30 a.m. to 9:30 a.m. Jan. 29, according to a statement. The one-day event identifies how many homeless people there are in the county on one day. Like many U.S. municipalities, the county conducts the survey to maintain funding it receives from the federal Department of Housing and Urban Development. Survey results help determine how much progress is being made to end homelessness locally and nationally. Volunteers will use Survey 123, a mobile application made by Esri, the Redlands company that makes geographic information system software for domestic and international clients. That device was tested during the 2018 count and was determined to be user friendly, according to the statement. Training will be held in early January. To register as a volunteer visit https://rivcoexchange.com/. For more information call (951) 358-3844 or email RivCoPIT@RivCo.org.